Moussa is not a big man at all, but he combines excellent technical ability with high energy. He has been central to a superb season for a homesick Coventry City in League 1, contributing 12 goals from an attacking midfield position already. It’s not likely Halford would have made this list even three months ago. However, since Billy Davies has moved the big defender up to the top of the pitch, Halford has shown himself to be a decent prospect as a target man. He’s scored three already over the Christmas period, and helped destroy the confidence of a whole crop of West Ham youth teamers following his team’s 5-0 victory against the Hammers. 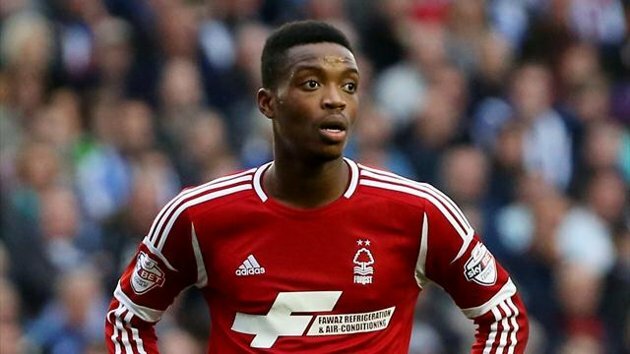 The Football League’s most versatile player? Peterborough unearthed Dwight Gayle and sold him on for £6 million. 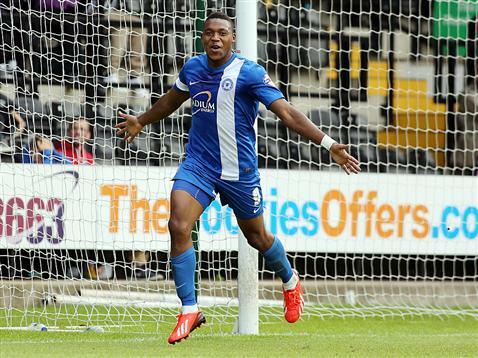 Asombalonga is potentially a better player, as his startling beginnings at London Road may have indicated. He has hit the back of the neck every other game on average this season (17 in 31), and is a mix of raw pace and finishing. He looks permanently knackered, but don’t let this fool you. Calderon was a big part of Brighton’s play off excursion last year, and has proven himself again this. Part of a Brighton side that has quietly nestled itself in at 7th in league, he is one of their leaders. Not all Leicester fans were sold on James when he first arrived, but over the course of the past 6 months he has begun to show what he is made of. Good on the ball, intelligent in his movement, he is an organiser and flexible enough tactically to have become a real leader in the East Midlands. An England youth team captain, he has never played better than in the last 3 months, although he should score more goals. Chalobah was a real asset for Watford last year in their promotion drive, adding high energy to their smooth passing game. With the technical ability to operate within such a system, he is now at Boro, following a promising spell at Nottingham Forest, where his performances to date have drawn praise especially from his own manager. The star of Bradford’s brilliant season last year that saw the club reach the Carling Cup Final and promoted via the play-offs from League 2. He is rapid, works hard, and scores plenty of goals (15 this season for Bradford). Has been rewarded with a move to a higher league as Huddersfield made him a club record signing last week. He scored on his debut, naturally. He has Premier League experience but rarely has Marney played better than under Sean Dyche at Burnley this season. He has been a driving force this year; an all action, box to box central midfielder. Burnley have done exceptionally in the first half of the season and Marney’s energy has been a real contributing factor. Drinkwater is the form player in the league of recent weeks, as his passing game has helped Leicester develop in to such an efficient attacking side. He is yet another graduate of the Man Utd academy, and has added goals to hard work and intelligent tactical play this year. This entry was posted in Analysis and opinion and tagged bradford city, brighton, Britt Assombalonga, championship, danny drinkwater, football league, huddersfield, leicester, matty james, middlesbrough, nahki wells, nathan chalobah, nottingham forest, peterborough, top 50, Top 50 Football League Players by Chris Francis. Bookmark the permalink.